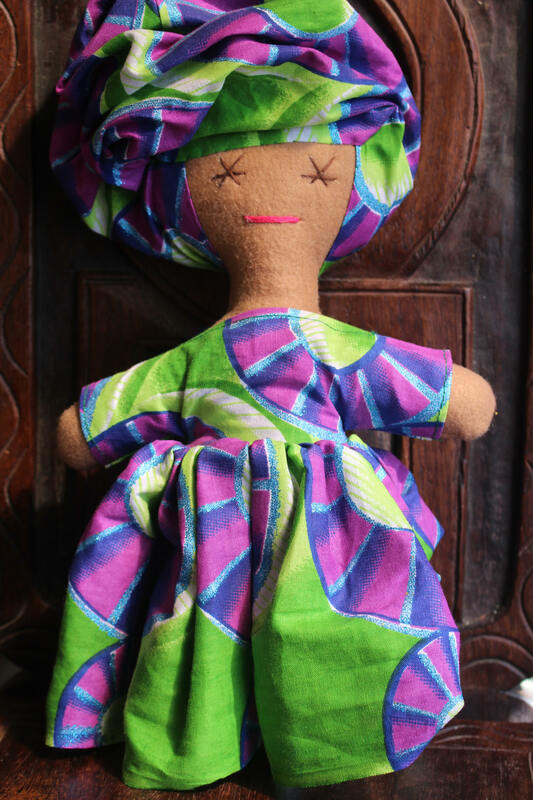 A handcrafted African Doll made in Ghana by our very own Sandra. 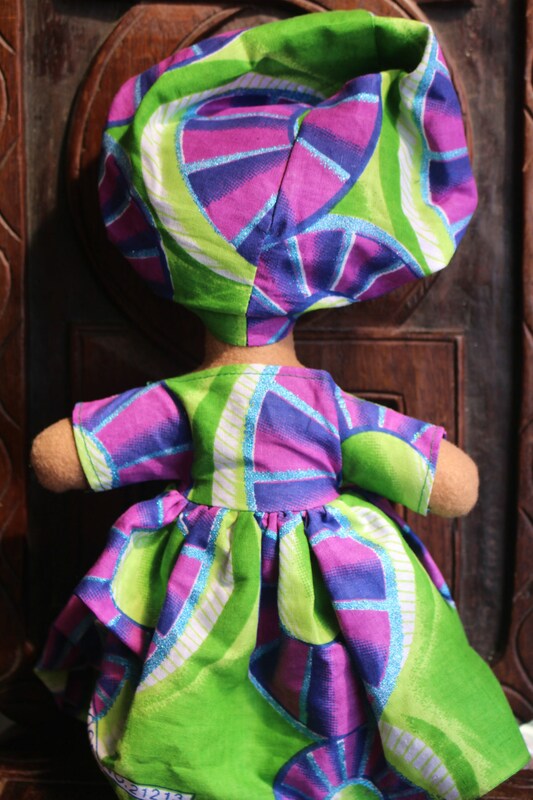 These dolls are all completely unique and vary very slightly in pattern as they are all individually hand crafted. 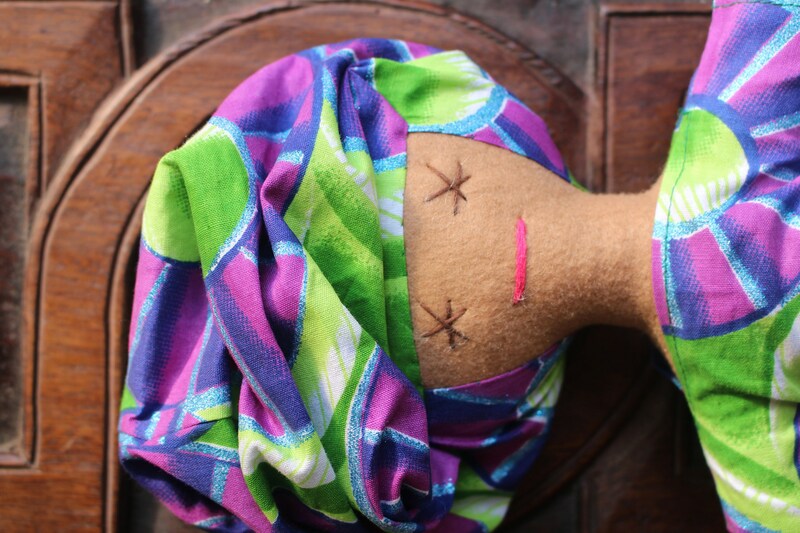 The Sandra Dolls sit perfectly as ornaments dotted around the house for a little flash of colour and culture- making them equally as good for adults as well as children. 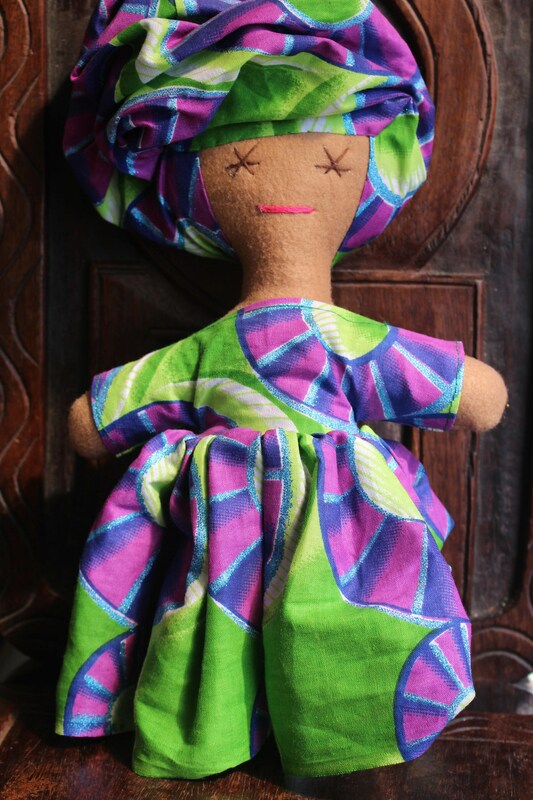 Multicultural Children's toys and dolls are difficult to find nowadays. We think these are a perfect way for a child to begin to understand their own, or different cultures, whilst doing what children do best- playing. All measurements given are subject to very slight changes as they are all individually made.